Before any Porsche goes into production, it is taken to its limits – cue Panamera! The sun beats down, the soil is dry and dusty. A pitch-black, cleverly camouflaged Gran Turismo battles over the stony ground. Again and again the deep potholes shake the vehicle and its occupants. 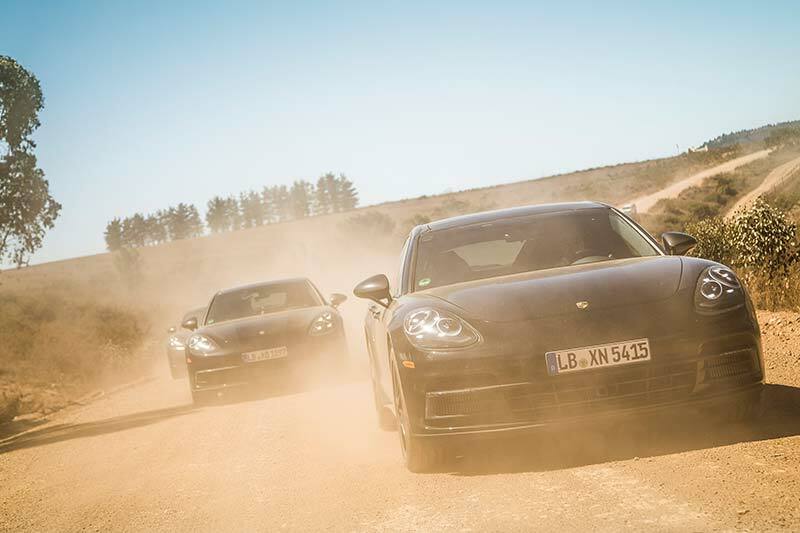 A tour de force for the new Porsche Panamera. That’s how it has to be. Testing means going to extremes. Only then can the technology reach ultimate perfection.